Sometimes an invite pings into your inbox that makes you do a little excitement wee. 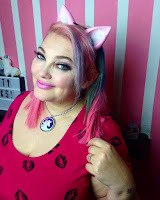 Being asked to join Plus size model Tess Holliday (formerly Munster) Yours Clothing and some of my favourite plus size bloggers was definitely a tenalady moment. 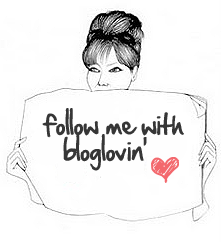 I'm a huge fan of Yours clothing, fast fun plus size fashion in all the sizes and always affordable. they are such a favourite with my readers. 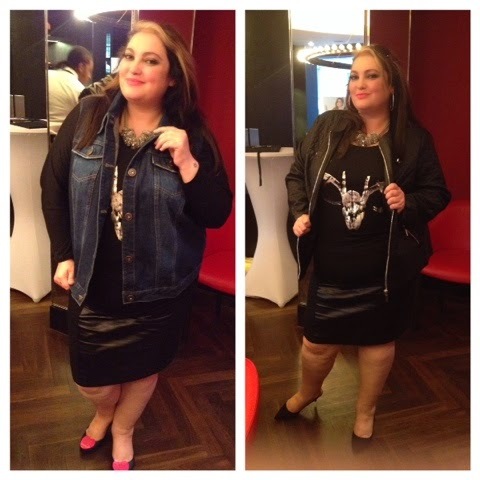 Tess Holliday is of course a legend within the plus size community. A stylish sassy beautiful size 22 woman who pioneered the "Eff your beauty standards" movement and was recently signed by Milk modelling agency-a first for a model with her proportions. Inspiration should be her middle name. 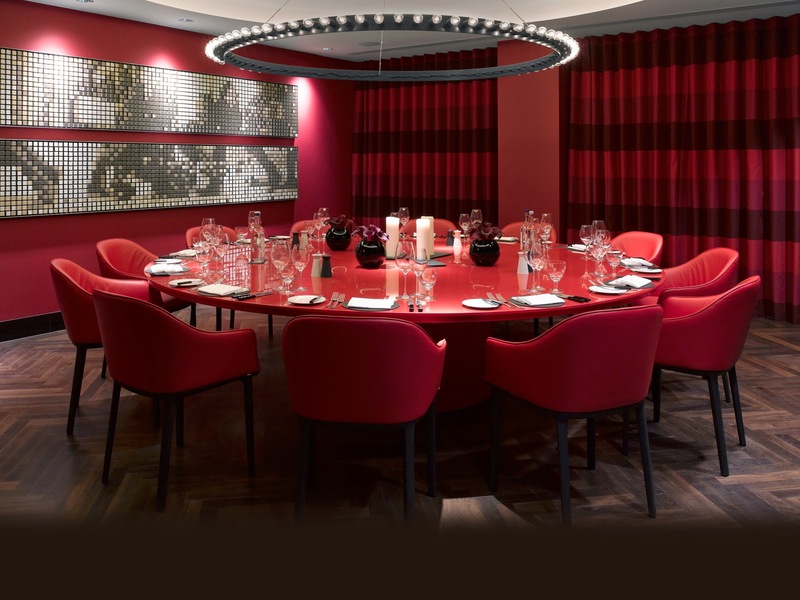 The dinner was in the Conran designed Red room in the South place hotel in London. The Kuryakin room to give it its full title (named after IIya Kuryakin the Russian Man from uncle) has a dramatic circular chandelier,a big lacquered circular table and red 1960s inspired leather chairs as well as fresh cut roses, candles and lots of champagne. It was wonderful. Tess immediately came over and introduced herself to me, looking unsurprisingly absolutely gorgeous. She kicked off the evening wearing a pink skater dress with bows down back by Yours and a vintage glitter turban she had picked up in London. Tess is exactly what I imagined, funny, sassy and ultra glamorous. Her face really is exquisite and I had to stop myself staring too much when she was talking to me for fear I might come across as a weirdo. Much more than being beautiful though she has real effortless style. Midway through the evening she whipped off her turban revealing perfect hair (no hat hair for Ms Holliday) and changed into a black dress and gillet looking again simply ravishing. She is such a great ambassador for Yours who should be massively applauded for using a plus size model who looks plus size and isn't simply "plus size by model industry standards " which I'm quite honestly bored to the back teeth of hearing. I want to see clothes aimed at me modelled by women with plus size bodies like mine and having seen the shots Yours have taken of Tess (which are stunning) far from making the clothes less appealing using a model over a size 18 make me want to buy them more. Yours are really upping their game at the moment, concentrating more on being plus size fashion forward whilst still providing a great size range and affordability. Its an exciting time for the brand and Tess is just the right person to showcase this for them. Yours had brought along some of the pieces Tess has modelled for us to look at. I was particularly taken with a white denim jacket, a denim waistcoat a denim playsuit and a fab oriental print skirt and of course the Tess dress I cant wait to try all of these and if they look half as good on me as they do on Tess I will be very happy indeed. Catching up with some of my favourite blogger gal pals was really the cherry on top of the cake. Spending an evening with such a group of smart, funny lovely women was such a treat. 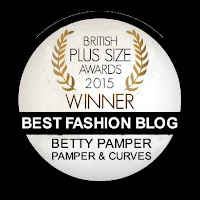 Blogging has brought so many great things into my world but meeting other plus size bloggers has been one of the best things hands down. Its like being part of a really cool sonority where everyone is plus size, obsessed with fashion and spends far too much time on their phones-like coming home really. So what a great evening. Thanks to Yours and of course Tess out hostess-it was awesome.